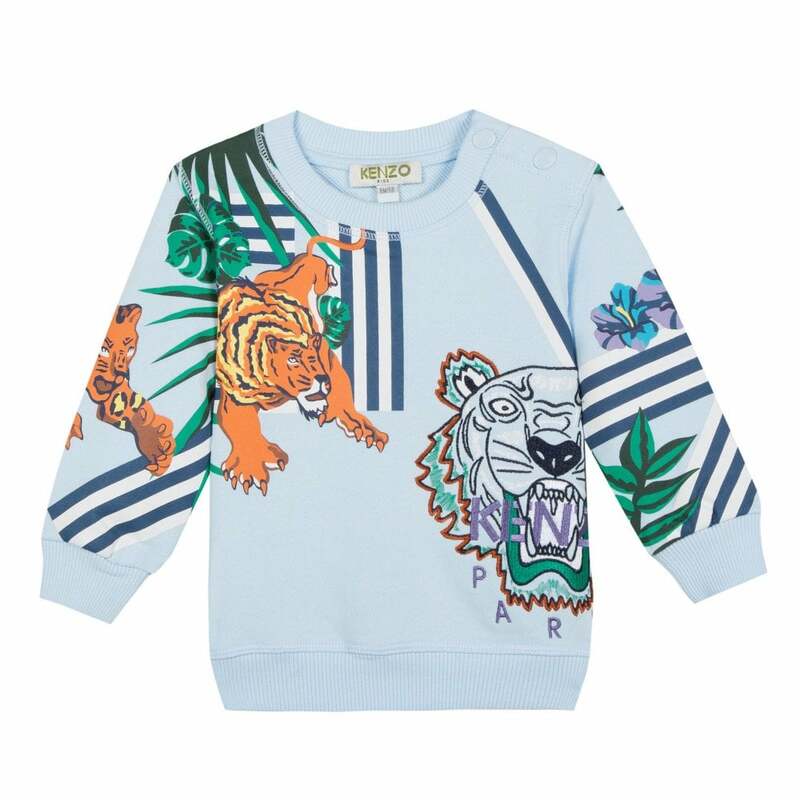 This Kenzo Kids Folco Hawaii Jungle Tiger Hunt Sweatshirt is 100% cotton and is light blue in colour. It has long sleeves and a crew neck with press stud fastenings. The sleeve cuffs and hem are elasticated for a better bit. It features the iconic Hawaii Jungle print on the front and back incorporating Kenzo Kids branding.